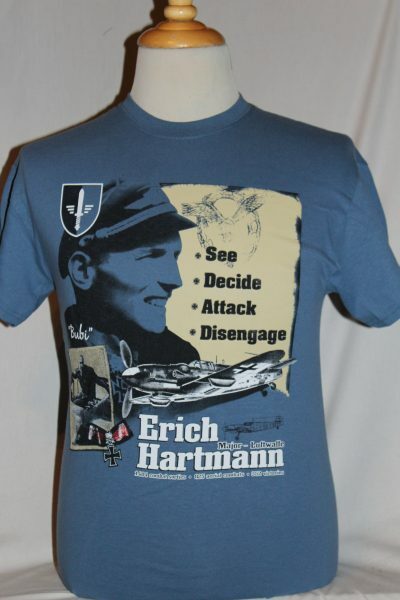 The Erich Hartmann "Black Devil Of The Ukrine" Luftwaffe Fighter Ace T-Shirt is a single sided print in blue. 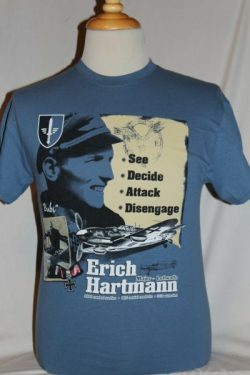 Front Design Only: Hartmann's photograph, Knights Cross with Oak Leaves and swords. Messerschmitt Bf109G and text statics. 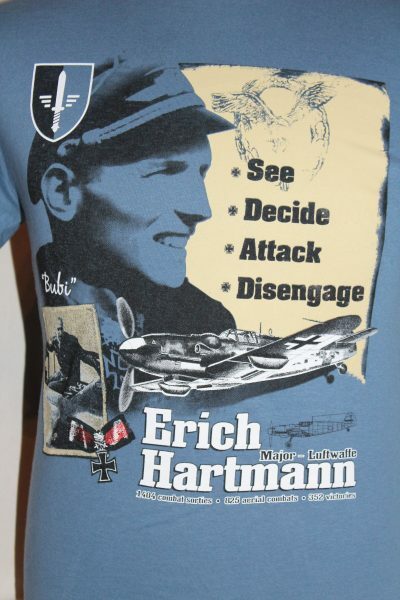 Greatest Ace in the history of aerial warfare 1404 combat sorties, 825 aerial combats, 352 victories.